Add the final touch for your, curtain rods, bedposts, flagpole, railing, or any other project. Our 4-1/4" Finial is the perfect ornament at the top, end, or corner of your woodcraft creation. 3/4" Round Push-In Hook, is exactly what you need to hang up your woodcraft project.Perfect for adding wire, hanging, or adding on to your woodcraft project. Baltic Birch B/BB Plywood 1/4" x 12" x 24"
8-1/2" Oval Wooden Cut Out 8-1/2" X 12" X 1/8"
Our beautifully grained and sustainably sourced wooden oval cutout. Create frames, cut our your own design and build your art using this large 8-1/2" by 12" Wooden Oval Cutout. 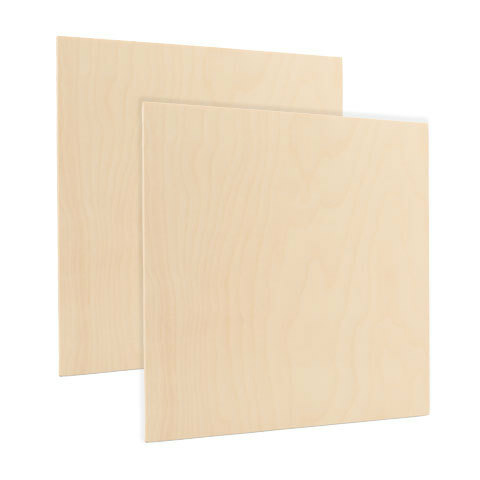 Baltic Birch B/BB Plywood 1/8" x 12" x 12"